Little Orphan Annie and Jumbo the Circus Elephant. 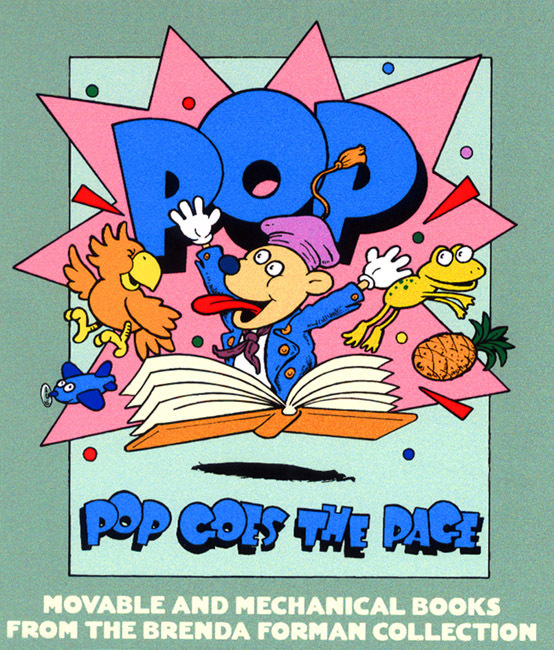 As is true of many of these mechanical and movable books, the collaboration between a single illustrator and a publisher created the Blue Ribbon pop-up series. In this section, illustrator Harold Lentz and the American publishing company Blue Ribbon produced a number of works animating fairytales, Mother Goose stories, and Disney characters. Lentz was particularly skilled at isolating dramatic moments within a story and translating these into striking scenes. Consider, for example, his manipulation of scale in choosing to place little Jack at the feet of the seated giant and Pinocchio and Gepetto in the cavernous mouth of the enormous Dog-fish, Atilla. Drawing on the precedents of the British Bookano series with its cheaper and more primitive production methods, the Blue Ribbon Pleasure Books fought to increase book sales during the Depression. Ultimately, many of the mechanics in these books were taken directly from the Bookano models, in spite of that company's patents. This explains the similar appearances of the two series. Nevertheless, Blue Ribbon pioneered the term "pop-up," zeroing in on the surprise and unexpectedness of turning a page and confronting gaping jaws, leaping mice, and flapping wings.